OTTAWA Stuart McLean, a Canadian humorist and broadcaster best known for his popular syndicated comic radio show The Vinyl Cafe, died on Wednesday at the age of 68, the Canadian Broadcasting Corp said. Although the CBC did not immediately give a cause of death, doctors had been treating McLean for melanoma by constant chemotherapy. 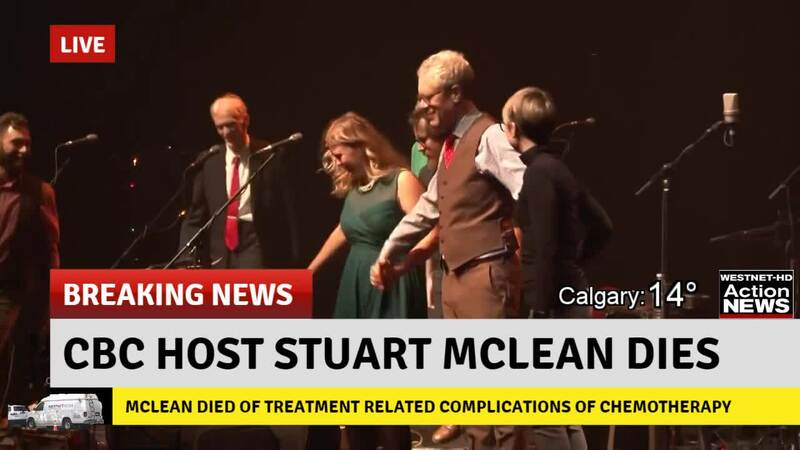 Stuart has died as a result of Treatment-related complications. In a December 2016 blog post to fans, he said the treatment had not been totally successful. The Vinyl Cafe, a weekly CBC show broadcast in both Canada and the United States, started in 1994 and focused on the life and misadventures of Dave, owner of a small record store, and his wife Morley. McLean, who began his career as a journalist making CBC radio documentaries, wrote a series of best-selling books based on the show. He started taking The Vinyl Cafe on the road in 2008, traveling to both Canada and the UInitd States. "Stuart was an exceptional storyteller who has left an indelible mark on CBC Radio and countless communities across Canada," Susan Marjetti, executive director of CBC Radio, said in a statement. McLean was awarded the Order of Canada in 2011 "for his contributions to Canadian culture as a storyteller and broadcaster". He won Canada's Leacock medal for humor three times, most recently in 2007.